Famous engraving of the Boston Massacre by Paul Revere. The soldiers were put on trial, and were defended by John Adams and Josiah Quincy, whom wanted to properly represent the colonial’s justice system. The Trial ended in December of 1770, with two of the soldiers being convicted of manslaughter and having an “M” branded on their thumbs representing murder. 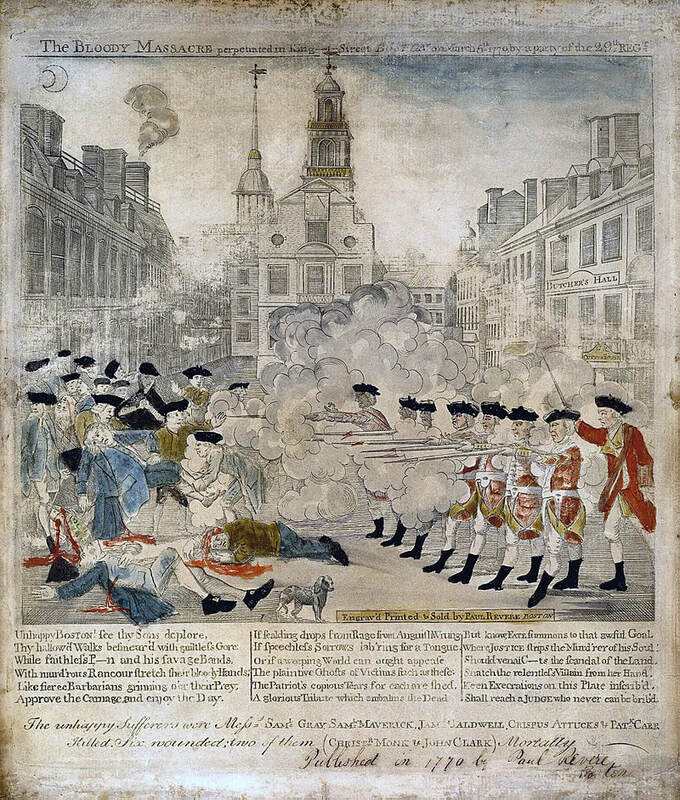 The Boston Massacre became a symbol for the Patriot Revolt and reason for why the troops were removed. Paul Revere, the famous American Revolutionary, headed the continuance of the event as a symbolic nature by creating provocative images and spreading them throughout the colonies.